2018 GLOBAL EDUCATOR AWARD in support of his efforts to promote the value of compassion in education and in the world through the Center for Compassion and Altruism Research and Education at Stanford University. The short film titled: Power of Compassion & Importance of the Work of CCARE is featured on the MY HERO International Film Festival winners page. We thank Dr. Doty for contributing to a better world through his creativity and talent. Dr. Doty was also the guest speaker at the MY HERO Peace Day event at the Palo Alto High School and gave an inspiring talk about Peace through Compassion in teacher Esther Wojcicki's journalism class. 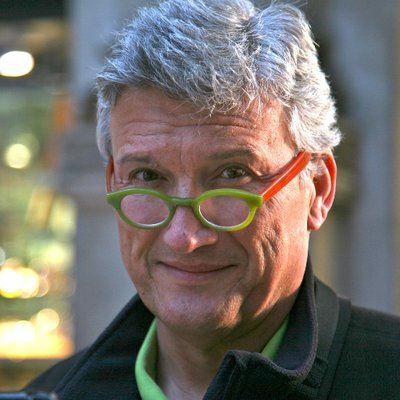 James Doty, M.D., FACS, FICS is a professor of neurosurgery at Stanford University and founder and director of the Center for Compassion and Altruism Research and Education, a part of the Stanford School of Medicine and an affiliate of the Stanford Neuroscience Institute. He serves on the board of a number of non-profits and is the vice-chair of the Charter for Compassion, the former chair of the Dalai Lama Foundation and a senior advisor to the Council of the Parliament of the World's Religion. Dr. Doty tells us, “compassion improves the world; yet the world around us seems ever in need of greater feats of compassion. How, then, can we create more compassion and inspire compassionate acts? 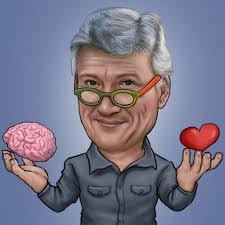 And how is it that the brain and the heart work together to create compassion in the first place?” His book, “Into the Magic Shop: A Neurosurgeon’s Quest to Discover the Mysteries of the Brain and the Secrets of the Heart” is taking the world - and many classrooms in it - by storm. It is a New York Times bestseller and has now been published in 31 languages. On a recent call with Dr. Doty, I hoped to find some answers to these questions about compassion and exactly what he found in the Magic Shop. WJ: You have so many degrees and accolades and awards, if I was telling someone about you, about James Doty, what should I say? JD: Hmmm. How about "he is a nice guy who cares". WJ: Oh, that’s fantastic! Because we have a lot of students in our audience, could you tell us about the encounter with the woman who changed your life? JD: I was 12 and, as many people know from my book, my brother had come out as gay, and my sister had a stroke and was partially paralyzed... clinically depressed,...attempted suicide multiple times... and neither had gone to college, so we were on public assistance. The nature of that environment had created a great deal of despair, shame, anger, hostility and a sense of hopelessness. When you're 12 years old that's a pretty dark place. One day I was riding my bicycle and there was a strip mall with a magic shop. I had an interest in magic so I went in. The owner wasn't there but his mother was there who was this radiant being, if you will. She knew nothing about the magic in the magic store but she was one of these individuals who embraces you with her warmth, her smile and, as a result, you feel safe. And fundamentally for us to be our best selves, we need to have psychological safety, a sense of trust, and an environment of nurturing. And really, in a very short period of time I felt very comfortable with her and we began a conversation, and from that conversation she offered to meet with me once a day for the period of time she was in the area for the summer. As a result of that time together, everything in my life changed. 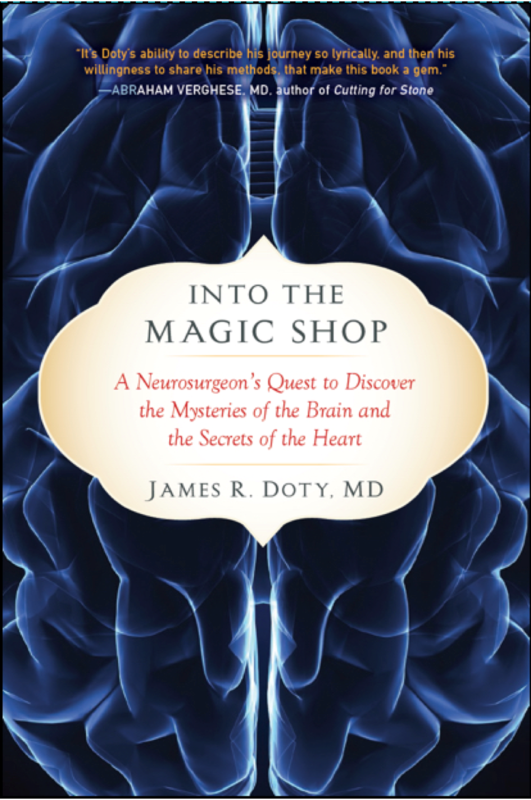 Into the Magic Shop by James R. Doty M.D. WJ: And what did she teach you? JD: She taught me several things. One was that the environment that I had grown up in, and was growing up in, created an intermittent amount of stress. I'd tell people that if you're a fish in water you don't realize that you're in water. And what I mean by that is many of us live in environments that are very challenging or stressful…living in such an environment was like a form of constant trauma. As a result, you never know what's going to happen next and this is really the source of Post Traumatic Stress Disorder and something we now call Adverse Childhood Experiences. So she taught me a technique of breathing and intentionally relaxing the muscles in my body. Once I was able to do that I could really be present and really connect with her. Often we are trapped in the past, saying things like “I should have” or “I could have”, or are constantly anticipating the future, which we cannot control, so we are lost in trying to create a sense of control about an uncertain future. And the combination results in most people really having a difficult time being present towards one another. And as we evolved as a species we did not have all the modern distractions of the world and it was a much simpler time. We had to be present for others because if you weren't it could impact your survival. This need to connect, this need to be present, is really critical if we are to succeed in life. Now, the word succeed or success can have a variety of meanings. I'm not talking about succeed in the sense of power, position or wealth; I'm talking about to succeed as a human being which means to be content, to be happy, to be connected. The second thing she taught me was that many of us have, frankly almost all of us have, an ongoing dialogue in our head that says “I'm not smart enough, I'm not good enough, I'm not pretty enough”, etc etc etc, and we believe it. What most people don't understand is that the nature of our evolution as a species is that things stick to us that are negative or a threat. Oftentimes we put into our minds comments we either hear from others, or think we hear, or think that people think about us, but they are our own insecurity, our own negative narrative. Because good things, happy times, don't present a threat to us. So the stickiness of the nature we were given in some ways is what helped us survive, but oftentimes for many people is actually quite negative. If you say to yourself over and over again “It's not possible, I can't do it, I'm not good enough, I'm not smart enough” well, then that becomes your reality, you have created your reality. Because once you say I can't do something, by definition, it's not possible. And many people do this. And they believe this narrative is actually them. And it's just a construct. If you listen to what others tell you all the time, or you don't realize you're putting these negative things into your subconscious, really what you're doing is you're giving control of your destiny to others. Once I realized that each time I had one of these negative feelings, it was actually as if I was building a prison for myself that limited me in all I could achieve or become. The third thing she gave me was the key to escape from the prison, to change that dialogue from negativity to self-compassion, self-affirmation. Many people have a very difficult time loving themselves or taking compliments from others because of this negative narrative that's been created that somehow they're not worthy. The other thing is that every human being has shadow, it's the nature of our reality. Whether I like it or you like it, there's parts of ourselves that are not so good that we wish were different and we work on those. But it doesn't make us less worthy of love. Less worthy of positive affirmation. Once you accept yourself with all your good and your bad parts and, in the face of them, recognize that you're worthy of love, you're worthy of acceptance.... then things start to change because you begin to love yourself, you begin to care for yourself. And once you're able to do that, then you can look out in the world and recognize that that's the nature of the world, it's a burden everyone carries, so that your issues are not isolated to you, that on some level everyone is suffering. So once you're able to understand this and start giving yourself love, suddenly the world starts opening up, you recognize that everyone deserves love and then as I talk about in my book, once I changed how I reacted to the world, the world changed in how it reacted towards me. 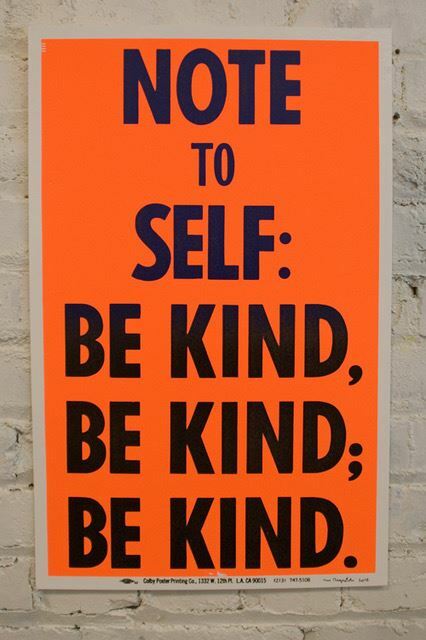 The fourth thing is compassion for others, or having an open heart. When you're carrying negativity and you're always beating yourself up, you're probably judging other people like you're being harsh to yourself. Oftentimes we're our own worst critics. But it also makes us highly critical of other people. And so, the fourth part was having an open heart, not judging others, and being much more accepting, being more inclusive and then that leads you to recognize that we're all on the same path in one sense and that everyone is worthy of love. Everyone has wounds of the heart. For most people, they're superficial and they heal quickly. But for a number of people they're deep and how they manifest themselves into the world really reflects the wounds of the heart. The fifth thing she taught me, before we used the terms neuro-plasticity, mindfulness, or intention, was that many things that happen in us occur at a subconscious level and that most of us don't have access to that either in the sense of its content, in the sense of how to put things there, or in the sense of how our subconscious makes things manifest. Intuitively she told me that when an individual represents what they wish to manifest through the senses: by writing things down, visualizing things, if you will, sort of touching the vision of what you want and repeating that over and over... that is what creates neural pathways and what strengthens neural pathways. With clarity of vision you start seeing the world more clearly which gives a better idea of what you want to manifest for yourself in the world. Manifesting is a process, which we now understand through neuroscience, of either creating or supporting neural pathways. Athletes have used these techniques to achieve peak performance. We know that when an individual thinks of something, an action, we see that they are actually living that in their minds. By repeatedly having a vision of strengthening your muscles, it actually results in that happening. So we know that to manifest an intention through this idea of repetition, through visualization, writing it down, etc, this puts that into your subconscious and creates the best possible environment for that to manifest. Now, when I was young I thought that meant I would go from Point A to Point B as quickly as possible in a line, and it doesn't work that way. There can be detours, there can be valleys and hills, there can be starts and stops... but what I'm saying is that more likely than not if you utilize this technique it will manifest if it is at all possible to. WJ: If you had a group of teachers in front of you and they asked you how can we engage our students in your work? How would they begin? Where would you point them to? JD: My work specifically... I would share with you the fact that my book is actually used in a lot of middle and high schools to teach children resilience and, if you will, the power of intention. There’s actually a group of teachers who are creating an entire program for teachers and students based on my book. As Dr. Doty was telling me about teachers around the world using his book and his techniques to create mindfulness, compassion, empathy for themselves and others I couldn’t help but wonder how changed our schools would be if all our kids could learn this information. We also talked about how the KPOP super group BTS, who were live twittering with him after our interview, were inspired to create a song Magic Shop after reading his book. BTS is known for using literature as inspiration for their songs and have worked with UNICEF as well to create a LOVE MYSELF campaign aimed at ending violence against children and teens around the world. WJ: You've met so many amazing people around the world, including the Dalai Lama, who is your hero and why? 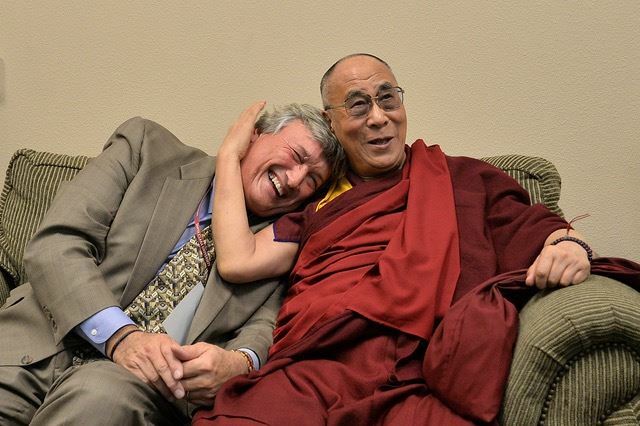 JD: What I tell people is that I've had the pleasure of meeting some of the greatest human beings, spiritual leaders, religious leaders in the world including Desmond Tutu, the Dalai Lama, and a number of others. And what I tell people is that some of the greatest lessons I have learned as a human being are from people who are not well known. They're from everyday human beings and that’s the thing we forget is that everyone around us can be an example for good and bad in our lives. And every day is a gift to connect with someone who can teach us something, give us their own insights and wisdom. And while certainly connecting with religious and spiritual leaders or individuals who are doing good in the world is a great thing, don't underestimate the power of the person standing next to you to give you insights, to give you wisdom, to give you love and to change your life. WJ: If you had the attention of the world for five minutes what would you do or say? JD: I would say that realize that when we look at another person, no matter how seemingly different, the reality is that they are very much like you with the desires, with the motivations that you have for yourself, loved ones, those around you, and when you understand this and recognize that that other is in fact you, then that is when the world will change. That is when you realize the oneness of all of us. WJ: Is there anything else you'd like to say? JD: Give everyone the benefit of doubt regarding how you perceive them and also understand that within you is the capacity to change another’s life. It doesn't matter your position, it doesn't matter how much money you're worth... the only thing that matters, that allows you to change another’s life, is to have an open heart and to give love. Thank you Dr. Doty for sharing your amazing story about your childhood and thank you for creating a safe magical place filled with compassion and the tools for all of us to go to start to heal. Design For Change - Design for Change is offering the world a magic formula! A simple four step framework to make every child graduate with the I CAN mindset – not by chance – by design! The Center for Compassion and Altruism Research and Education - Founder and Director of Stanford University's Center for Compassion and Altruism Research and Education (CCARE), Dr. James Doty shares his experiences and those of other medical professionals. A lot to see here. Stanford's Center for Compassion - YouTube channel - The CCARE at Stanford University YouTube Channel features videos from conferences, lectures, and other events hosted by CCARE. Highlights include Conversations on Compassion with many experts and leaders in the world of compassion and powerful TED Talks. After BTS Used This Stanford Professor's Book As Inspiration, It Became A Bestseller In Korea - Check out this story about the connection of the wildly popular KPOP band BTS and their love of James Doty's book, so much so that they created a song called MAGIC SHOP on their album LOVE YOURSELF.